So what is marine anodising? It is the same as standard anodising except that the specified coating thickness is 25 microns with a minimum coating thickness of 20 microns. For some marine grade anodising the coating requirement will be greater. Basically marine anodised coatings give greater corrosion resistance over standard anodised coatings. For most fresh and salt water based applications a standard marine coating thickness of 25 microns is all that is required. For application that involve extreme/constant exposure to salt water then a hard anodised finish or other coating option may be a better option. Certain alloys of Aluminium are more resistant to corrosion than others and are therefore more suited to marine applications, while other alloys would certainly be a poor choice. The best alloys for corrosion resistance are those found in the 5000 series of alloys, followed by those in the 6000 series. A poor choice for corrosion resistance are the 2000 series of alloys and this is due to their high copper content. Do I need marine anodising on my parts? If your parts are for indoor use or outdoors away from coastal areas then standard 12 micron anodising will suit most applications, although sometimes more will be required for colour work. If the parts are used in a coastal environment, geothermal areas or directly in salt water then marine grade coatings are recommended. Marine grade anodised coatings are still suitable for the full range of anodised colours. Maui Kanu are a Rotorua based company that make custom outrigger canoes for both the New Zealand and international market. They use 6000 series Aluminium alloy tube, specially bent and shaped, to join the main canoe with the outrigger. Maui Kanu have found that marine grade anodising is the most suitable finish for their product and have been very impressed by the performance and available colour range of the anodised coating. For parts that have more continuous exposure to salt water then either hard coating or other coating options need to be considered, however for most applications standard marine anodising will give excellent results. This particular part is of a bilge pump. The part on the initial inspection only showed minor surface corrosion and discolouration. 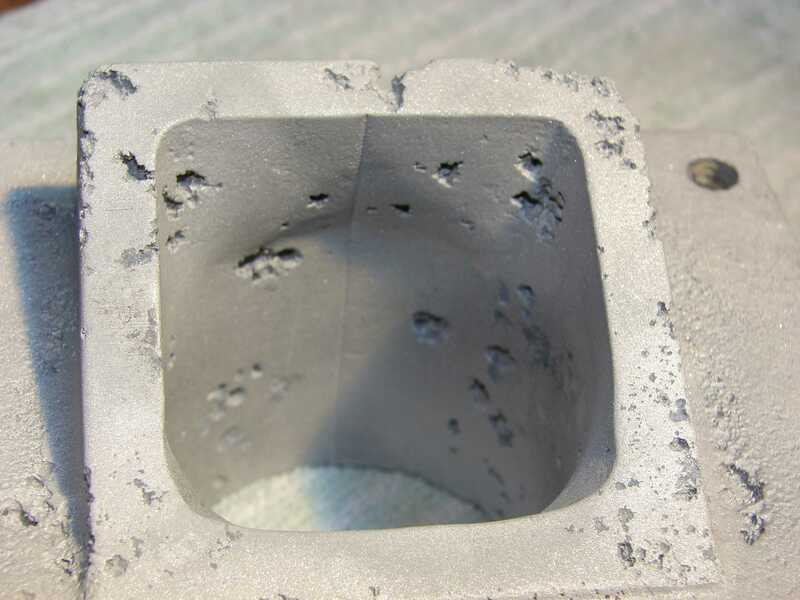 A light bead blast removed all the soft corroded areas highlighting the true extent of the corrosion. The pitting corrosion is quite extensive and in some spots has travelled almost all the way through the metal. Call Advanced Anodising now to discuss your marine anodising needs.